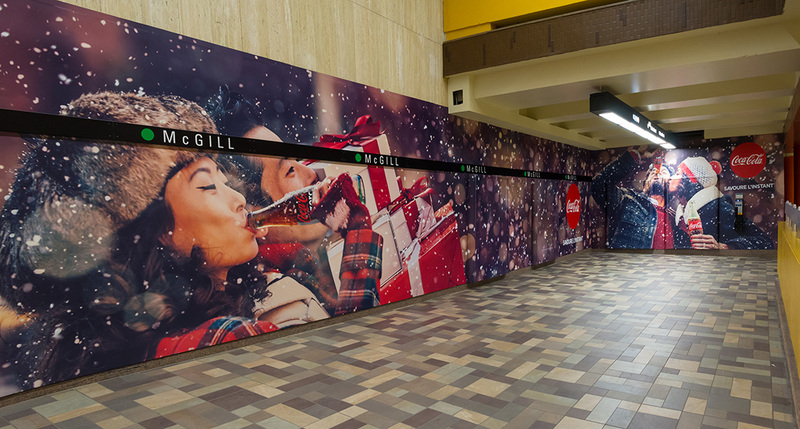 Commuters passing through the McGill metro station certainly won’t fail to notice this station wrap during the holiday season. 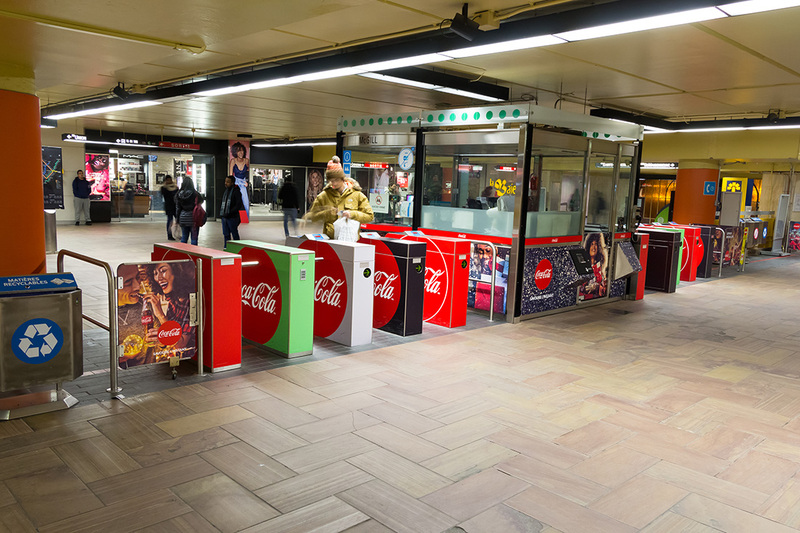 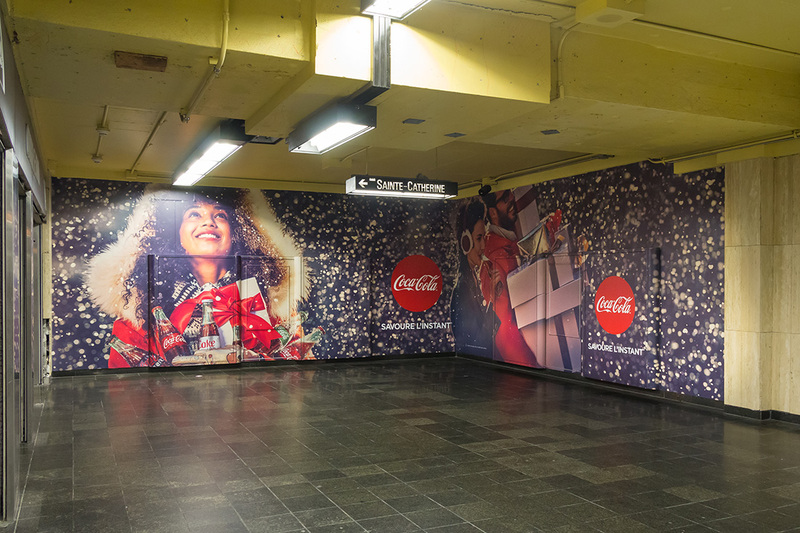 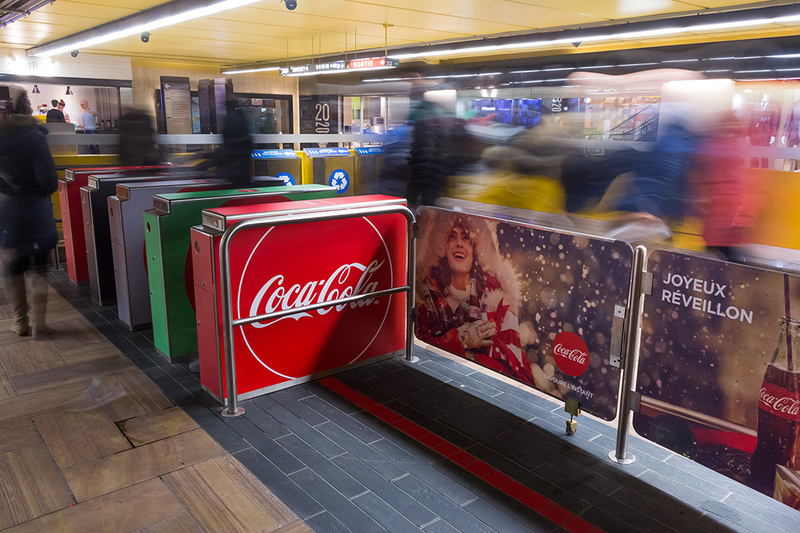 Every turnstile, booth and barricade has vinyl decals displaying the Coca-Cola brand, and 4 oversized murals have been set up at carefully selected locations inside the station. 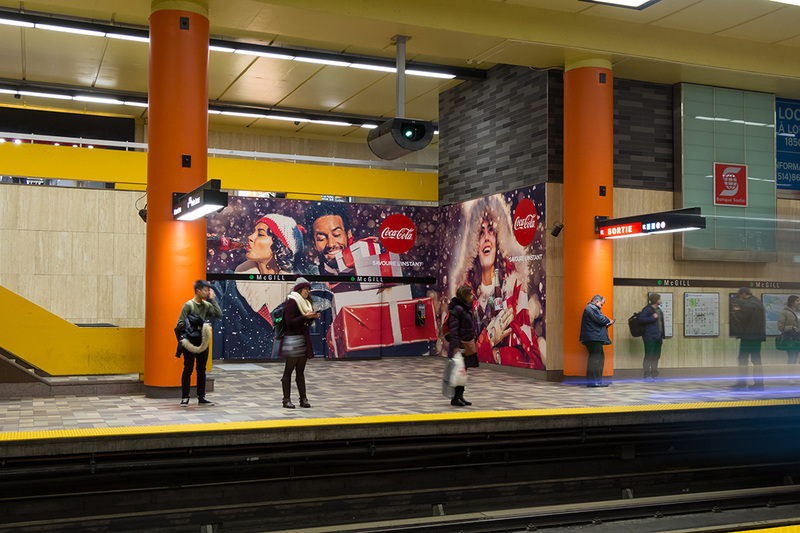 Maximum visibility will be provided during this very busy time of year in strategic areas within close proximity of all downtown’s biggest stores. 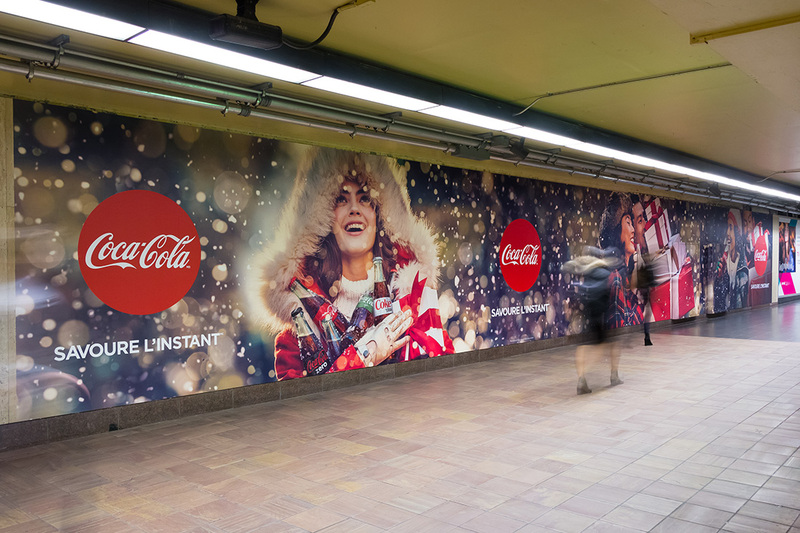 Leveraging its French tagline “Savoure l’instant”, Coca-Cola wants to remind metro commuters to savour every moment when they’re doing their holiday shopping.